Located at the edge of Pomerol in the western part of the Saint-Emilion appellation, Chateau La Dominique is one of the most prestigious properties on the Right Bank of the Bordeaux region. A Grand Cru Classe of Saint-Emilion ranked in the first classification of 1955, the property produces wines of the highest quality, similar to its closest neighbors: the famous Chateau Petrus, l’Evangile, La Conseillante et Cheval Blanc. Chateau La Dominique is named after the island in the Caribbean, where its owner at the time, a rich merchant from Libourne, first made his fortune. Purchased in 1969 by Clement Fayat, the estate has experienced a new era thanks to the ambitious renovation project launched in 2010 and aimed, in particular, to extend the estate from 25 to 29 hectares. A new modern winery was constructed, designed by the architect Jean Nouvel. Driven by sustainable agriculture, Chateau La Dominique extends over a vineyard planted on an exceptional terroir, combining clayey brown soils with sandy soils on a clay sub-layer. With vines that are on average 31 years old and planted at a density of 7,000 to 9,000 plants per hectare, Chateau La Dominique is 81% Merlot and 16% Cabernet Franc and 3% Cabernet Sauvignon. Chateau La Dominique has become known throughout the world for its particular style. 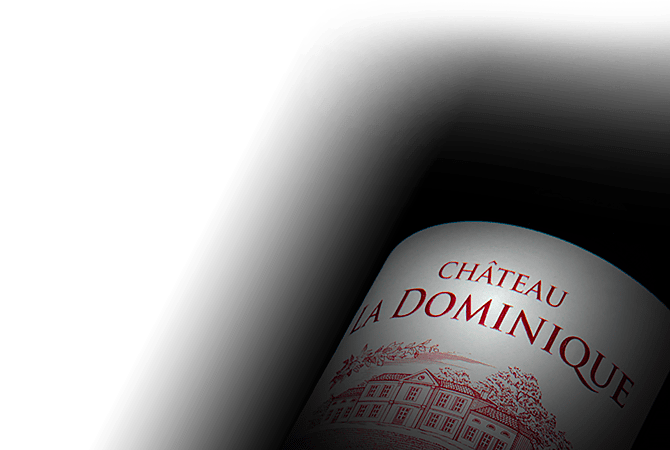 Expressing all the generosity of the Saint-Emilion terroir as well as the spirit of Pomerol, Chateau La Dominique produces wines with a fruity and sensual character, pleasant to savor in their youth but also blooming superbly with age.